A piece of local (New England) history. Did you know? I had never heard this term, although I was familiar with some of the boundary problems that had existed between Connecticut and Massachusetts. In the 1970s, I lived in Southwick Mass, which has a block of land that juts into Connecticut, and disrupts the otherwise straight line that is the border between the two states. The story I remember is that all of Southwick was once the property of Lord Southwick, and he didn’t want it broken up between two states. Now I find that was all hogwash! 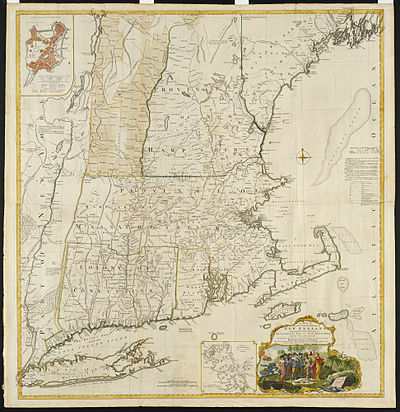 I also didn’t know that Springfield (where I lived for 10 years prior to moving to Southwick) used to be part of the Connecticut colony. My father’s ancestry traces back to early English settlers of Connecticut, including the first Governor of Connecticut Colony. His parents were direct descendants of two of the “Founders” of Hartford (where I also lived for a time), John Wilcox (or Willcocks) and John Bidwell. It seems that things were quite complex over those years of imprecise surveying, compounded by conflicting claims of territory.